Vitamina D, una ragione in più per fare incetta! Non solo fondamentale per la salute delle nostra ossa e per mantenere attivo il sistema immunitario, ma utilissima anche per ridurre il rischio di tumore al seno. Le donne con livelli sufficientemente elevati di questa vitamina nel sangue avrebbero infatti un rischio significativamente più basso di cancro alla mammella. A confermarlo è uno studio della University of California San Diego School of Medicine pubblicato sulla rivista Plos one, secondo cui più vitamina D si ha nel sistema, meno è probabile che si sviluppi il cancro al seno. I pregi della vitamina D quando si parla di prevenzione del cancro sono da tempo al centro dei dibattiti medici. Alcuni studi avevano già rivelato che il rischio complessivo di cancro è più basso nelle persone con livelli più alti di questa vitamina, dal momento che, di contro, bassi livelli ematici di questa sostanza sono stati associati a un aumentato rischio di cancro alla vescica e, in uno studio recente, a un rischio elevato di cancro all’intestino. Oltre al suo ruolo fondamentale nel metabolismo osseo, è in effetti accertato che la vitamina D sia coinvolta anche in altri processi, come la modulazione della crescita cellulare, le funzioni neuromuscolari e immunitarie e la riduzione delle infiammazioni. Di conseguenza, la carenza di vitamina D, oltre ai disturbi alle ossa può essere anche collegata una serie di altre malattie, comprese condizioni metaboliche, cardiovascolari, autoimmuni e tumori. L’analisi californiana ha coinvolto due campioni di donne di età media 55 anni, 3.325 e poi 1.713 donne sane all’inizio dello studio e monitorate per una media di 4 anni. Nel corso di questo periodo sono stati diagnosticati 77 casi di tumore al seno. Gli esperti avevano misurato i livelli di vitamina D nel sangue delle partecipanti all’inizio delle indagini e era emerso che le donne che avevano concentrazioni di vitamina D pari o superiori a 60 nanogrammi per millimetro di sangue presentavano un quinto del rischio di ammalarsi di tumore rispetto a coloro che invece avevano concentrazioni di vitamina D inferiori a 20 nanogrammi/millilitro. Se le concentrazioni di vitamina D aumentavano, il rischio di tumore si riduceva progressivamente. Per ora gli studiosi ammettono che non si hanno basi sufficienti per dimostrare una relazione di causa-effetto tra carenza di vitamina D e rischio cancro ma, vista la mole degli studi a favore, non si fa fatica a legare la vitamina D alla prevenzione dei tumori. Quello che è oramai assodato è che la Vitamina D è un vero toccasana e, tra giusta alimentazione e regolare e corretta esposizione al sole, dobbiamo cercare di non farcela mai mancare. Vitamin D, one more reason to stock up! Not only essential for the health of our bones and to keep the immune system active, but also very useful to reduce the risk of breast cancer. Women with sufficiently high levels of this vitamin in the blood would in fact have a significantly lower risk of breast cancer. To confirm it is a study by the University of California San Diego School of Medicine published in the journal Plos one, according to which the more vitamin D one has in the system, the less likely it is that breast cancer will develop. The benefits of vitamin D when it comes to cancer prevention have long been at the center of medical debates. Some studies have already revealed that the overall risk of cancer is lower in people with higher levels of this vitamin, since, on the other hand, low blood levels of this substance have been associated with an increased risk of bladder cancer and, in a recent study, at a high risk of bowel cancer. In addition to its fundamental role in bone metabolism, it is indeed established that vitamin D is also involved in other processes, such as the modulation of cell growth, neuromuscular and immune functions and the reduction of inflammation. As a result, vitamin D deficiency, in addition to bone disorders, can also be linked to a range of other diseases, including metabolic, cardiovascular, autoimmune and tumors. The Californian analysis involved two samples of women 55 years old, 3.325 and then 1,713 healthy women at the beginning of the study and monitored for an average of 4 years. During this period, 77 cases of breast cancer were diagnosed. The experts had measured the vitamin D levels in the blood of the participants at the start of the investigation and found that women who had vitamin D concentrations equal to or greater than 60 nanograms per millimeter of blood had one fifth of the risk of getting cancer compared to those who had vitamin D concentrations below 20 nanograms / milliliter. If vitamin D concentrations increased, the risk of cancer decreased progressively. For now, scholars admit that there is not sufficient basis to demonstrate a cause-effect relationship between vitamin D deficiency and cancer risk, but, given the amount of studies in favor, it is not difficult to bind vitamin D to cancer prevention . What is now established is that Vitamin D is a true panacea and, between right nutrition and regular and proper exposure to the sun, we must try not to make it never miss. Germination is essentially the practice of sprouting seeds of cereals, nuts, beans or other, so that they are easier to digest and your body can access their full nutritional profile. As for cereals, seed germination makes them edible even raw, but the sprouted seeds can also be cooked. Sprouted flours can be used to bake bread, muffins or brioche, added to salads (such as walnuts or sprouted beans), as well as being mixed with other ingredients for frying, soups and stews. Sprouted foods are used a lot in raw food diets, but they also bring many benefits to people who follow any type of diet. The germination of cereals, nuts, beans and seeds has been a common practice in places like Eastern Asia and Europe for thousands of years. In fact, practices such as: maceration, germination and fermentation have been part of almost all cultures, one way or another, because our ancestors understood the many health benefits and benefits associated with the production of these foods. One of the biggest advantages of germination is the fact that it helps reduce the presence of anti-nutrients. Anti-nutrients are natural compounds found in plant seeds that interfere with our ability to assimilate vitamins and minerals contained in plants. Why do anti-nutrients exist naturally in plant seeds? The anti-nutrients contained in plants actually have a protective property; they help them survive by protecting them from parasites and insects, since once they are ingested, the plant’s predators get sick. The anti-nutrients are also responsible for sprouting the seed when it matures. In addition to phytic acid, other forms of anti-nutrient-like compounds can also be found in non-contaminated foods. These include polyphenols – can inhibit the digestion of copper, iron, zinc and vitamin B1, along with enzymes, proteins and starches present in plant foods. Enzyme inhibitors found in plant foods can cause protein deficiency and gastrointestinal disorders. Tannins are enzymatic inhibitors and so are other plant proteins that are difficult to digest like gluten. Enzyme inhibitors not only cause digestive problems, can cause allergic reactions and mental illness. Lectins and saponins: these are anti-nutrients that act on the gastrointestinal lining, contributing to leaky gut syndrome and autoimmune disorders. They are particularly resistant to the digestive process of human beings: they enter our blood and trigger immune responses. They can cause GI disorders such as classic food poisoning and immune responses such as joint pain and rash. Raw grains improperly prepared, dairy products and legumes such as peanuts and soybeans have particularly high levels of lectin. Germination increases the supply of calcium, iron and zinc, as well as reducing polyphenol, lectin and tannin content by an average of 50 percent! 1. Increase nutrient absorption – B12, iron, magnesium and zinc. For many people, eating cereals, nuts and seeds becomes problematic in case of digestive problems and often causes inflammation. One of the main advantages of budding is that it releases beneficial enzymes, which make digestion of all types of cereals, seeds, beans and nuts easier. This also helps to increase the levels of beneficial flora in the intestine also reducing the chances of an autoimmune reaction when you eat these foods. Studies also show that cereals become easier to digest for those suffering from diabetes once they sprout due to changes in the amount of phenol acids and enzymes available. The sprouts taken both in the short and long term have helped diabetics regulate the activity of amylase, an enzyme necessary for proper digestion of glucose. Other digestive benefits can be found in fermented grains, because they contain probiotics. Probiotics populate the intestinal flora with healthy “good bacteria” that help digestion, detoxification and nutrient absorption, while decreasing the presence of harmful “bad bacteria”. According to the Phytic Acid Organization, beans soaked for only 18 hours can reduce the phytic acid content in beans up to 70% depending on the type. (17) The level of phytic acid differs between different food groups and also within the same food group, but all beans, nuts, seeds and cereals can benefit from soaking and sprouts. Depending on the exact seed that is sprouted, proteins in the form of amino acids can become more concentrated and absorbable in sprouted foods. (20) Studies have shown that an increase in amino acids, including lysine and tryptophan, can occur when the seeds are sprouted. While the concentration of different proteins in sprouted foods seems to vary, many studies indicate that proteins become more digestible when the seeds are sprouted. When a seed begins to sprout, natural chemical changes occur and as a result enzymes are produced to convert the plant’s nutrients. As the process of action sprouts takes place, complex proteins are converted into simple amino acids, making them easier during digestion. Several studies have found that when the seeds are sprouted, their fiber content increases and becomes more available. (21) Reports show that germination increases the concentrations of raw fiber, which is the fiber that makes up the cell walls of plants. When we consume the raw fiber of the plant, the fiber can not be absorbed by our digestive tract and therefore helps to push the waste and toxins out of the intestine and to regulate the intestinal movements. 6. Has the ability to decrease gluten proteins to make it more digestible. In addition to decreasing gluten protein concentrations, it is shown that the sprouting process helps to reduce other food allergens (especially the one called 26 kDa allergen) found in rice, for example. In one study, researchers found that sprouted brown rice contained much lower levels of two allergen compounds than ungrown brown rice. (24) They considered that the reduction was due to certain enzymatic activities during germination. According to a 2013 study, germination of legume seeds can increase their nutritional value by raising levels of phenolic and flavonoid antioxidants. (25) When the researchers sprouted seeds, antioxidant levels significantly increased and scavenging and antitumor activity improved compared to seeds that had not been sprouted. Il limone è un agrume dalle mille virtù: scopri alcuni utilizzi insoliti che trasformano in pochi minuti le tue ricette più semplici in piatti salutari e ricchi di sapore. Il limone è un agrume utilizzato per condire insalate e verdure in genere, macedonie di frutta, ma anche carni e pesce ed è ottimo sulle lenticchie, con i ceci e tutti gli altri legumi. È inoltre l’ingrediente ideale per dolci al cucchiaio o torte e biscotti. La sua ricchezza in vitamina C lo rende un valido rimedio antiossidante, utile per la produzione di collagene, una proteina che mantiene tonici tessuti, pelle e vasi sanguigni e linfatici compresi, prevenendo così le rughe, la fragilità capillare e anche la ritenzione idrica e la cellulite. Inoltre, la vitamina C aiuta ad assimilare il ferro, contrastando l’anemia che può derivare dalla carenza di questo minerale. Ma sei sicuro di conoscere tutti gli usi del limone in cucina? Ecco qualche suggerimento che darà un tocco in più ai tuoi piatti e che ti aiuterà a mantenerti giovane e ricco di energia vitale! Puoi usare sia il succo che la buccia, purché il limone sia bio. Fai così: metti a lessare 120g di pasta per due persone; mentre cuoce, fai scaldare 1 cucchiaio di olio. Scola la pasta al dente, versala nel recipiente e unisci la buccia grattugiata e il succo di mezzo agrume. Fai saltare e servi in tavola spolverizzando con pepe nero. Puoi procedere allo stesso modo con il riso lessato e terminare con pepe nero e prezzemolo tritato. La vitamina C del limone e il potassio delle patate sono una coppia perfetta contro i ristagni e la cellulite. Basta far lessare le patate e condirle, quando sono fredde, con un filo d’olio, buccia e succo di limone in base al gusto personale. Salsa al limone super veloce per le preparazioni salate: ipocalorica e adatta per tutti i piatti! In una ciotola amalgama 100g di yogurt a porzione con 1 cucchiaino di buccia di limone bio e 1 cucchiaio di capperi e prezzemolo tritati finemente. Provala su cereali, pesce, carni e insalate. Stendi un rotolo di sfoglia pronta (scegli un prodotto senza grassi idrogenati) su carta da forno e cospargi la superficie con buccia di limone grattugiata, cannella e pochissimo zucchero integrale. Ricava dei dischetti utilizzando un bicchiere e mettili a cuocere in forno a 180°C fino a che saranno dorati (ci vorranno circa 15-20 minuti). Taglia a fette 70g di mozzarella a porzione, scolale bene e mettile in freezer per 30 minuti. Metti quindi ogni fetta su una foglia di limone e metti a cuocere sulla piastra ben calda unta con un filo d’olio. Quando il formaggio inizia ad ammorbidirsi, giralo e lascialo cuocere per altri 2 minuti. Servi completando con pepe nero e qualche goccia di succo di limone. Frulla la polpa di un limone pelato a vivo con 100ml di acqua, 50ml di vino bianco, una manciatina di foglie di menta e 2 cucchiaini di stevia. Suddividi in 2 bicchieri e servi. Prepara un minestrone con verdure e lenticchie al posto dei classici fagioli. Al momento di servire in tavola, unisci 1 cucchiaio di succo di limone a porzione e un cucchiaino di buccia grattugiata. Lemon is a citrus with a thousand virtues: discover some unusual uses that transform your simple recipes into healthy and flavor-rich dishes in just a few minutes. Lemon is a citrus fruit used to dress salads and vegetables in general, fruit salads, but also meat and fish and is excellent on lentils, with chickpeas and all other legumes. It is also the ideal ingredient for spoon desserts or cakes and biscuits. Its richness in vitamin C makes it a valuable antioxidant remedy, useful for the production of collagen, a protein that keeps tissues tonic, skin and blood and lymphatic vessels including, thus preventing wrinkles, capillary fragility and also water retention and cellulite. In addition, vitamin C helps to assimilate iron, counteracting the anemia that may result from the lack of this mineral. But are you sure you know all the uses of lemon in the kitchen? Here are some suggestions that will add a touch to your dishes and that will help you keep yourself young and full of vital energy! You can use both the juice and the peel, as long as the lemon is organic. Do this: put to boil 120g of pasta for two people; while cooking, heat 1 tablespoon of oil. Drain the pasta al dente, pour it into the container and add the grated peel and the juice of half a citrus. Sauté and serve on the table sprinkling with black pepper. You can proceed in the same way with the boiled rice and finish with black pepper and chopped parsley. Lemon Vitamin C and Potassium Potatoes are a perfect couple against stagnations and cellulite. Just boil the potatoes and dress them, when they are cold, with a little oil, peel and lemon juice according to personal taste. Super fast lemon sauce for savory preparations: low-calorie and suitable for all dishes! In an amalgam bowl, 100g of portioned yoghurt with 1 teaspoon of organic lemon peel and 1 tablespoon of finely chopped capers and parsley. Try it on cereals, fish, meats and salads. Roll out a roll of dough ready (choose a product without hydrogenated fats) on baking paper and cover the surface with grated lemon peel, cinnamon and very little whole sugar. Obtain the flasks using a glass and put them to bake at 180 ° C until they are golden (it will take about 15-20 minutes). Cut into slices 70g of mozzarella per portion, drain well and put them in the freezer for 30 minutes. Then put each slice on a lemon leaf and put to cook on a hot plate greased with a little oil. When the cheese starts to soften, turn it over and let it cook for another 2 minutes. Serve complemented with black pepper and a few drops of lemon juice. Blend the pulp of a peeled lemon in vivo with 100ml of water, 50ml of white wine, a handful of mint leaves and 2 teaspoons of stevia. Subdivide into 2 glasses and serve. Prepare a minestrone with vegetables and lentils instead of the classic beans. When serving at the table, combine 1 tablespoon of lemon juice per serving and a teaspoon of grated peel. Smettere di mangiare carboidrati raffinati e zuccheri almeno per un mese, è uno dei più bei regali che tu possa fare a te stesso e alla tua salute. Se ci segui ed hai già sperimentato su di te il Reset, lo speciale programma di 30 giorni in cui elimini dalle tue abitudini pane, pasta, pizza, cereali e zuccheri sotto ogni forma, sai già di cosa sto parlando. I doni che ne potrai ricevere sono davvero molti sia a livello fisico sia a livello mentale, dato che, come vedremo in questo articolo, l’assunzione di carboidrati raffinati ha un grande impatto sulla nostra mente. Al contrario i miglior carboidrati per il nostro corpo e la nostra mente sono quelli naturalmente contenuti nella verdura e nella frutta. Prima di tagliare il traguardo di un rinnovato benessere è probabile che, tu vada incontro a degli effetti collaterali. Questi possono verificarsi sia se stai seguendo il Reset proposto dal Metodo Energy, sia se hai deciso in modo autonomo di eliminare temporaneamente questi alimenti dalla tua tavola. Voglio tranquillizzarti subito, sono effetti temporanei e saranno più o meno evidenti a seconda dello stato dell’infiammazione generale in cui versa il tuo corpo e da quanto debole è la tua capacità di digestione. Molto dipende poi da quanto carboidrati raffinati e zuccheri sono stati presenti nella tua dieta quotidiana prima di cambiare abitudini alimentari. Ricordati che stai staccando la spina, eliminando l’assunzione di alimenti che ti intossicavano. Stai insegnando al tuo corpo a cambiare abitudini e ricavare energia e nutrimento non più dagli zuccheri, ma dai grassi. Al corpo succede proprio come quando decidiamo di far andare il motore della nostra auto da benzina a metano: può perdere momentaneamente qualche colpo, rallentare, per poi, una volta “switchato”, ripartire nel pieno delle sue potenzialità. Anche se potrai viverli come effetti spiacevoli, in realtà sono sintomi dell’avvio di una profonda depurazione messa in atto dal tuo organismo. Innumerevoli tossine stanno uscendo dagli organi in cui erano intrappolate da chissà quanto tempo e ti stanno abbandonando. Devi solo avere un po’ di pazienza, giusto il tempo che il processo si compia. Vediamo ora più da vicino di cosa si tratta. Eliminando i carboidrati raffinati e gli zuccheri dopo circa tre giorni, il corpo finite le riserve, inizia a rilasciare nel sangue i chetoni o corpi chetonici (molecole di acetone, acetoacetato, beta-idrossibutirrato) quale carburante alternativo. Questa flessibilità del metabolismo ha permesso la sopravvivenza dell’uomo primitivo: i chetoni hanno potuto garantire al corpo e al cervello, un carburante di riserva nei vari periodi di carestia. La presenza di chetoni nel sangue indica dunque che sei in “chetosi” e che il corpo sta iniziando a bruciare grassi. Quando questo avviene hai la sensazione di sentirti “avvelenato” e “appesantito” e potresti accusare alito cattivo, leggera nausea, stanchezza. Oltre ai chetoni, anche le tossine stanno uscendo e, tempo una settimana o due, dipende da quanto congestionato è il tuo fegato, torni a fiorire. Essere in uno stato di chetosi, non deve allarmarti e livelli tra gli 0,5 e 3 millimoli di chetoni per litro, sono considerati ottimali nel garantire importanti benefici per la salute. Valori che raramente si superano quando elimini dalla dieta i carboidrati, in quanto come già detto, il cervello e il corpo, iniziano a bruciare corpi chetonici, per cui non si rischia un loro eccessivo accumulo nel sangue. Anche queste fanno parte del processo. Alcuni si sentono subito forti, sintomo che la loro energia vitale è alta, altri subiscono invece un contraccolpo. Più eri in preda al picco glicemico, più inizialmente ti sentirai stanco. Sarà un periodo più o meno lungo a seconda di quante tossine hai accumulato e dell’efficacia della digestione. Sono due stati legati all’impatto che hanno sulla nostra mente l’eliminazione di zuccheri e carboidrati. Questi, stimolando gli stessi recettori degli oppiacei, ti fanno sentire felice e appagato. Ora sospendendoli e venendo meno questo stimolo, può accadere che tu ti senta, al contrario, un po’ triste e nervoso. Effetti che spariscono man mano che te ne libererai per poi finalmente ritrovarti forte, sveglio e consapevole, non più in preda a sbalzi d’umore, sintomo tipico del picco glicemico. Nel frattempo cucinati con amore cose buone: è un ottimo modo per compensare la sensazione di privazione passeggera che scomparirà entro massimo dieci giorni, a patto che la sospensione dai carboidrati e zuccheri sia totale. Quando associ lo zucchero a carboidrati raffinati con glutine, come nel caso di un semplice panino con la cioccolata, fette biscottate con la marmellata, dolci vari comprati al forno o fatti in casa, stai innescando nel cervello un effetto molto simile a quello degli oppiacei. Tutti sintomi che scompaiono dopo circa una settimana di astinenza. A creare questo vincolo sono dei polipeptidi, sostanze prodotte dalla digestione di zucchero e glutine che hanno la capacità di oltrepassare la barriera emato-encefalica. Una volta penetrati nel cervello, si legano ai recettori della morfina, gli stessi a cui si legano gli oppiacei. bevi fuori pasto anche solo una tazza di acqua calda con un cucchiaino di ghi: ti farà sentire subito nutrito a fondo e soddisfatto. Saper riconoscere questi sintomi, dar loro il giusto peso, non lasciarti sopraffare né tantomeno scoraggiare, è fondamentale per godere poi di grandi benefici. A volte le persone sono spaventate da questi segnali di profonda disintossicazione e gettano la spugna solo dopo qualche giorno. Si convincono che sia pericoloso sospendere i carboidrati perdendo in realtà una grande occasione per migliorare il loro stato di salute generale. Stop eating refined carbohydrates and sugars for at least a month, it is one of the most beautiful gifts you can give yourself and your health. If you follow us and you have already tested on you the Reset, the special program of 30 days in which you eliminate from your habits bread, pasta, pizza, cereals and sugars in every form, you already know what I’m talking about. The gifts that you can receive are really many both physically and mentally, since, as we will see in this article, the intake of refined carbohydrates has a great impact on our mind. On the contrary, the best carbohydrates for our body and mind are those naturally contained in vegetables and fruit. Before cutting the finishing line of a renewed well-being, it is probable that you will experience side effects. These can occur both if you are following the Reset proposed by the Energy Method, or if you have decided on your own to temporarily eliminate these foods from your table. I want to reassure you immediately, are temporary effects and will be more or less obvious depending on the state of the general inflammation in which your body is and how weak is your capacity for digestion. Much depends on how refined carbohydrates and sugars have been present in your daily diet before changing eating habits. Remember that you are unplugging, eliminating the intake of food that poisoned you. You are teaching your body to change habits and get more energy and nourishment from sugars, but from fats. The body happens just like when we decide to run the engine of our car from gasoline to methane: it can momentarily lose a few hits, slow down, and then, once “switchato”, start again at full potential. Even if you can experience them as unpleasant effects, they are actually symptoms of the start of a deep purification carried out by your body. Countless toxins are coming out of the organs where they were trapped by who knows how long they are leaving you. You just have to be patient, just the time that the process is accomplished. Let’s take a closer look at what it is. By eliminating refined carbohydrates and sugars after about three days, the body finished reserves, begins to release ketones or ketone bodies into the blood (molecules of acetone, acetoacetate, beta-hydroxybutyrate) as an alternative fuel. This flexibility of metabolism has allowed the survival of primitive man: the ketones have been able to guarantee the body and the brain, a reserve fuel in the various periods of famine. The presence of ketones in the blood therefore indicates that you are in “ketosis” and that the body is starting to burn fat. When this happens you have the feeling of feeling of being “poisoned” and “burdened” and you could accuse bad breath, light nausea, fatigue. In addition to ketones, even toxins are coming out and, time a week or two, depends on how congested your liver is, you come back to bloom. Being in a state of ketosis, should not be alarmed and levels between 0.5 and 3 millimoles of ketones per liter, are considered optimal in ensuring important health benefits. 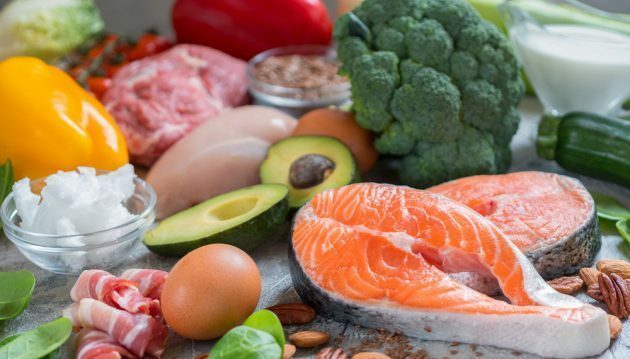 Values ​​that are rarely exceeded when you eliminate carbohydrates from the diet, as already said, the brain and the body, begin to burn ketone bodies, so you do not risk their excessive accumulation in the blood. These are also part of the process. Some feel strong immediately, a symptom that their life energy is high, while others are suffering a backlash. The more you were in the grip of the glycemic peak, the more you will feel tired first. It will be a more or less long period depending on how many toxins you have accumulated and the effectiveness of digestion. There are two states linked to the impact of sugar and carbohydrates on our minds. These, stimulating the same opiate receptors, make you feel happy and satisfied. Now suspending them and failing this stimulus, it may happen that you feel, on the contrary, a little sad and nervous. Effects which disappear as they do you free yourself to finally find yourself strong, awake and aware, no longer prey to mood swings, typical symptom of the glycemic peak. Meanwhile cooked with love good things: it’s a great way to compensate for the temporary feeling of deprivation which will disappear within a maximum of ten days, provided that the suspension from carbohydrates and sugars is total. When you associate sugar in refined carbohydrates with gluten, as in the case of a simple sandwich with chocolate, biscuits with jam, various sweets bought baked or homemade, you are triggering the brain a very similar effect to that of the opiates. All symptoms that disappear after about a week of abstinence. To create this constraint are polypeptides, substances produced by the digestion of sugar and gluten that have the ability to cross the blood-brain barrier. Once they have entered the brain, they bind to the morphine receptors, the same to which the opiates are bound. drink a cup of hot water with a teaspoon of ghee outside the meal: it will immediately make you feel deeply fed and satisfied. Knowing how to recognize these symptoms, give them the right weight, do not be overwhelmed or discouraged, it is essential to then enjoy great benefits. Sometimes people are scared of these signs of deep detoxification and throw in the towel only after a few days. They are convinced that it is dangerous to suspend carbohydrates and actually lose a great opportunity to improve their general health. Il fucus è un’alga eccezionale per attivare un’azione stimolante sul metabolismo dei lipidi o più comunemente dei grassi, indispensabile per dimagrire. Il Fucus vesiculosus, chiamato anche alga bruna o quercia marina, è un’alga che prospera sulle coste dell’Oceano Atlantico, del mare del Nord, in Groenlandia, Norvegia, ma anche nelle Isole Azzorre e nelle Indie occidentali. La quercia marina è facilmente riconoscibile per le caratteristiche foglie a ventaglio simili a quelle della quercia, cosparse di vescicole globose piene d’aria che la fanno galleggiare, ed è tra le alghe più utilizzate in fitoterapia per contrastare i disturbi connessi a un’insufficienza del metabolismo basale. Nelle estremità di alcune lamine, l’alga bruna presenta anche piccole sacche ovoidali, simili ad olive ripiene di una sostanza gelatinosa verde-arancio. Ad accorgersi delle proprietà dimagranti della quercia marina fu un medico francese, Duchesne-Duparc, che nel 1862 – mentre sperimentava l’uso dell’alga bruna per combattere la psoriasi – si accorse che quest’alga aveva un’azione stimolante sul metabolismo dei grassi, ed iniziò ad usarla con successo nel trattamento dell’obesità. Riccchissima di iodio organico e inorganico, mucopolisaccaridi (acido alginico, fucoidano e laminarina), polifenoli, fucosterolo, fuxoxantina, lipidi polari, oligoelementi, vitamine (B1, C ed E), tannini, steroli vegetali, e saliminerali (iodio, bromo, potassio, sodio, magnesio, ferro). La quercia marina agisce in modo particolare sulla tiroide, che utilizza la sua ricchezza in iodio e microelementi per la produzione degli ormoni tiroidei tiroxina e triiodotironina, indispensabili per aumentare il metabolismo basale, accelerare il ricambio e riequilibrare il processo di sintesi dei grassi da parte del nostro organismo. La sua azione stimolante è quindi utile anche in tutti i casi ipotiroidismo e nei disturbi ad esso connesso. Per questo è utilizzata sia per dimagrire che per riequilibrare il ricambio e contrastare patologie della pelle come la cellulite, causata dalla perdita di capacità di ricambio da parte delle cellule del derma. Gastroprotettiva e antiulcerosa Le mucillagini che compongono gli alginati della quercia assorbono molta acqua e, una volta arrivati nello stomaco, si trasformano in un denso gel viscoso che riveste e protegge la mucosa gastrica e ne riduce la secrezione acida, costituendo anche un efficace antidoto al reflusso gastrico. Lassativo naturale La massa di gel vischioso formata dall’alga bruna nell’intestino, stimola la peristalsi favorendo il transito intestinale con un’azione lassativa non irritante, che libera i visceri senza infiammarli come i lassativi su base irritativa, che alla lunga possono creare pericolose infiammazioni e diverticoliti. Antidiabetica Secondo numerosi studi sperimentali, gli alginati presenti nell’alga bruna hanno una provata attività antidiabetica, riducendo significativamente l’indice glicemico e i trigliceridi nelle cavie. Antibatterica e antinfiammatoria Altri studi hanno dimostrato che l’alga bruna è utile per contrastare le infezioni batteriche da Staphilococco aureo, Pseudomonas aeruginosa ed Escherichia coli. L’azione antimicrobica sarebbe dovuta ad alcuni batteri marini isolati sulla superfice dell’alga bruna, capaci di sintetizzare antibiotici totalmente innovativi come struttura chimica, mentre il fucoidano ha un’azione potentemente antinfiammatoria. Antiage Gli alginati della quercia marina appaiono in grado di attivare una glicoproteina coinvolta nella sintesi del collagene. Secondo uno studio recente, l’estratto acquoso di alga bruna all’1% applicato localmente avrebbe dimostrato attività anti-age. La quercia marina è reperibile in commercio sia come estratto secco che come tintura madre. La posologia consigliata per l’estratto secco è variabile in relazione alle diverse case produttrici, si consiglia di usare la dose minima prevista per non incorrere in squilibri. La tintura madre di quercia marina si assume nella dose di 30 gocce diluite in acqua, la mattina a colazione. non va assunta in caso di cardiopatie, aritmie, tachicardie, ipertensione arteriosa, ipertiroidismo, gravidanza e allattamento. In caso di ipotiroidismo non assumere assieme a farmaci come l’eutirox per non incorrere in disturbi come tremori, tachicardia, nervosismo, insonnia e ipertensione arteriosa. Non assumere la sera o per periodi superiori a 6 settimane. The fucus is an exceptional algae to activate a stimulating action on the metabolism of lipids or more commonly fat, essential for weight loss. The Fucus vesiculosus, also called brown algae or marine oak, is a seaweed that thrives on the coasts of the Atlantic Ocean, the North Sea, in Greenland, Norway, but also in the Azores and in the West Indies. The sea-oak is easily recognizable by the characteristic fan-shaped leaves similar to those of the oak, sprinkled with globose vesicles full of air that make it float, and it is among the most used algae in phytotherapy to counter the disorders related to an insufficiency of the basal metabolism. In the extremities of some laminae, the brown alga also has small ovoid sacs, similar to olives stuffed with a gelatinous orange-green substance. A French doctor, Duchesne-Duparc, who noticed in 1862 – while experimenting with the use of brown seaweed to fight psoriasis – realized that this alga had a stimulating effect on fat metabolism. , and began to use it successfully in the treatment of obesity. Rich in organic and inorganic iodine, mucopolysaccharides (alginic acid, fucoidan and laminarine), polyphenols, fucosterol, fuxoxanthin, polar lipids, trace elements, vitamins (B1, C and E), tannins, plant sterols, and saliminerals (iodine, bromine, potassium , sodium, magnesium, iron). The marine oak acts in particular on the thyroid, which uses its richness in iodine and microelements for the production of thyroid hormones thyroxine and triiodothyronine, essential to increase the basal metabolism, accelerate the exchange and rebalance the process of synthesis of fats by the our organism. Its stimulating action is therefore also useful in all cases hypothyroidism and related disorders. This is why it is used both to lose weight and to rebalance the turnover and to counteract skin diseases such as cellulitis, caused by the loss of spare capacity by the cells of the dermis. Gastroprotective and antiulcerose The mucilages that make up the alginates of the oak absorb a lot of water and, once arrived in the stomach, they turn into a thick viscous gel that covers and protects the gastric mucosa and reduces its acid secretion, also constituting an effective antidote to reflux gastric. Natural laxative The mass of viscous gel formed by the brown algae in the intestine stimulates peristalsis favoring intestinal transit with a non-irritating laxative action, which releases the viscera without inflaming them like irritative based laxatives, which in the long run can create dangerous inflammation and diverticulitis. Antidiabetic According to numerous experimental studies, alginates present in the brown alga have a proven antidiabetic activity, significantly reducing the glycemic index and triglycerides in guinea pigs. Escherichia coli. The antimicrobial action is due to some marine bacteria isolated on the surface of the brown alga, capable of synthesizing totally innovative antibiotics as a chemical structure, while the fucoidan has a potently anti-inflammatory action. Antiage The alginates of the marine oak appear able to activate a glycoprotein involved in the synthesis of the collagen. According to a recent study, the locally applied 1% aqueous brown alga extract would have shown anti-aging activity. The marine oak is commercially available both as a dry extract and as a mother tincture. The recommended dosage for the dry extract is variable in relation to the different manufacturers, it is advisable to use the minimum dose required to avoid imbalances. The mother tincture of marine oak is assumed in the dose of 30 drops diluted in water, in the morning for breakfast. Consult with your doctor before taking marine oak: it should not be taken in case of heart disease, arrhythmias, tachycardias, arterial hypertension, hyperthyroidism, pregnancy and lactation. In case of hypothyroidism do not take together with drugs such as eutirox in order not to incur disorders such as tremors, tachycardia, nervousness, insomnia and arterial hypertension. Do not take in the evening or for periods longer than 6 weeks. Il Brahmi ha i benefici di aumentare la connessione neuronale, aumentare la memoria, ridurre l’ansia, migliorare le facoltà cognitive, alleviare lo stress, prevenire il cancro, aumentare la pulsione sessuale, depurare il corpo dalle tossine, proteggere dalla degenerazione mentale, potenziare il sistema immunitario e ridurre le infiammazioni. Il nome scientifico è Bacopa monnieri, questa erba perenne vanta una lunga tradizione nella medicina ayurvedica. [ 1 ] Nota anche come issopo, è difficile individuare una zona originaria di quest’erba che cresce nelle zone umide spontaneamente in tutti e sei i continenti da centinaia di migliaia di anni. A differenza di molte altre erbe, il Brahmi ha una serie di effetti sulla salute unici che l’hanno reso così ricercato e amato dalle tradizioni medicinali antiche. Contiene alcuni preziosi alcaloidi e saponine triterpeniche che hanno forti effetti sul corpo, oltre a molti altri composti organici e costituenti volatili. Comunemente viene usato fresco come ingrediente nelle insalate, ma può anche essere essiccato, macinato ed assunto come integratore in polvere. Il sapore è relativamente mite, ma la vera ragione per cui usare il brahmi è l’impatto che ha sulla salute umana. Diamo uno sguardo più da vicino ai benefici per la salute unici di questa incredibile erba ayurvedica offre. Uno dei maggiori vantaggi del brahmi è la sua capacità di stimolare [ 2 ] la mente, in particolare memoria e concentrazione . È stato a lungo utilizzato nella medicina ayurvedica per aumentare la concentrazione. Alcuni dei composti organici contenuti nel brahmi stimolano i percorsi cognitivi nel cervello aumentando le capacità cognitive. Ha la capacità di ridurre [ 3 ] l’insorgenza di disturbi cognitivi come la demenza e il morbo di Alzheimer. La ricerca ha dimostrato che è un valido alleato per stimolare la creazione di nuovi percorsi neurali e l’abbassamento dello stress ossidativo nel cervello, proteggendolo dal declino della facoltá cognitive durante la vecchiaia. Le foglie della pianta del brahmi possono essere masticate (solo 2-3 alla volta) per alleviare lo stress e l’ansia. Gli ingredienti attivi in questa erba possono influenzare l’equilibrio ormonale nel corpo e avere un impatto positivo sugli[ 4 ] ormoni dello stress nel nostro organismo, in modo da indurre la calma e uno stato di rilassamento in modo naturale, evitando gli effetti collaterali dei farmaci tradizionali anti-stress e contro l’ansia. Quando le foglie della pianta vengono sfregate localmente sulle parti interessate, i composti rilasciati possono ridurre [ 5 ] il gonfiore ed eliminare l’irritazione, oltre che l’infiammazione all’interno del corpo. É ottimo per le persone che soffrono di artrite, gotta e altre condizioni infiammatorie. Gli antiossidanti contenuti nel brahmi sono essenziali per promuovere uno stile di vita sano. Eliminano i radicali liberi [ 6 ], i pericolosi sottoprodotti del metabolismo cellulare che possono causare alle cellule apoptosi (morte cellulare) o la mutazione in cellule cancerose. Questi radicali liberi influenzano tutto dalla nostra pelle al nostro sistema cardiovascolare, quindi una dose regolare di brahmi in una dieta giornaliera o settimanale può aiutare a mantenere un’alta qualità della vita e un metabolismo sano. Gli antiossidanti prevengono anche certi tipi di cancro; la ricerca continua a studiare i componenti del Brahmi che prevengono o rallentano la diffusione del cancro. C’è una tossina particolarmente pericolosa, chiamata acrilammide, sulla quale il Brahmi ha specificamente dimostrato resistenza; l’acrilamide è collegata alle malattie neurodegenerative, quindi questo può essere aggiunto alla lista dei benefici del brahmi! Quando il brahmi viene preparato in un tè o masticato come foglie normali, può aumentare [ 7 ] la salute delle vie respiratorie. Viene usato nei trattamenti ayurvedici per trattare i seguenti disturbi: congestione, raffreddore e sinusite. Può eliminare il muco in eccesso e alleviare l’infiammazione della gola e delle vie respiratorie fornendo un rapido sollievo. Se consumato in qualsiasi forma, tè, foglie o altro, il brahmi può fornire al sistema immunitario l’impulso necessario. I nutrienti vengono arricchiti dai composti antiossidanti aumentando le difese [ 8 ] del nostro sistema immunitario contro patogeni, virus o infezioni batteriche. Le foglie di brahmi sono state usate come trattamento [ 9 ] per l’epilessia da migliaia di anni. Si pensa sia dovuto all’effetto che il Brahmi ha sui percorsi neurali. Aiuta a prevenire attacchi epilettici, così come altre forme di malattie mentali, tra cui il disturbo bipolare e la nevralgia. Se desideri accelerare [ 10 ] la guarigione delle ferite e disinfettare la pelle allo stesso tempo, distribuisci succo o olio di Brahmi sulla zona interessata. Riduce l’aspetto delle cicatrici e lascia una pelle liscia e sana arricchita dai suoi oli essenziali naturali . Negli studi di ricerca [ 11 ] , il brahmi è stato associato a un aumento dei livelli di zucchero nel sangue, quindi, a seconda dei sintomi del diabete, può essere in grado di aiutare a migliorare la tua ipoglicemia e permetterti di condurre una vita normale e sana. Il Brahmi è un’erba sedativa e lenitiva [ 12 ] , oltre che antinfiammatoria e può aiutare a fornire sollievo da condizioni gastrointestinali come ulcere, ecc. Il consumo a lungo termine di qualsiasi integratore a base di erbe viene solitamente scoraggiato e il Brahmi non fa eccezione. L’uso regolare si consiglia fino ad un massimo di 3-4 mesi. Oppure può essere usato saltuariamente per alleviare una certa condizione di salute. Il Brahmi non da allergie ed è considerata una erba sicura. Non ci sono abbastanza studi sull’assunzione in gravidanza e allattamento, quindi se ne sconsiglia l’uso in questi momenti. Brahmi estratto concentrato in polvere. Si raccomanda un dosaggio tra 50 mg e 500 mg al giorno. Brahmi in polvere. Si raccomanda un dosaggio di 1 grammo per 2-3 volte al giorno in acqua tiepida oppure in succhi. Bambini. Meglio evitare al di sotto dei 5 anni. Tra i 5 e 12 anni usare una dose dimezzata rispetto agli adulti. Dai 12 ai 18 anni una dose 2/3 di quella degli adulti (quindi 2 grammi al giorno di polvere e 340 mg di estratto). Come tonico del cervello, gli effetti di Brahmi possono essere aumentati se assunto insieme all’Ashwagandha. Con tutti questi potenti benefici per la salute, non c’è da meravigliarsi se il Brahmi è una delle erbe principali per il cervello, la mente e il sistema nervoso. Chi l’ha provato può testimoniare già dopo 3-4 settimane il potente ringiovanimento mentale che questa erba offre! Brahmi has the benefits of increasing the neuronal connection, increasing memory, reducing anxiety, improving cognitive abilities, relieving stress, preventing cancer, increasing the sexual drive, cleansing the body of toxins, protecting from mental degeneration, enhancing the immune system and reduce inflammation. The scientific name is Bacopa monnieri, this perennial herb boasts a long tradition in Ayurvedic medicine. Also known as hyssop, it is difficult to identify an area native to this grass that grows in wetlands spontaneously in all six continents for hundreds of thousands of years. Unlike many other herbs, Brahmi has a number of unique health effects that have made it so sought after and loved by ancient medicinal traditions. It contains some precious alkaloids and triterpenic saponins that have strong effects on the body, as well as many other organic compounds and volatile constituents. It is commonly used fresh as an ingredient in salads, but can also be dried, ground and taken as a powder supplement. The taste is relatively mild, but the real reason for using brahmi is the impact it has on human health. Let’s take a closer look at the unique health benefits of this incredible Ayurvedic herb offers. One of the greatest advantages of brahmi is its ability to stimulate  the mind, in particular memory and concentration. It has long been used in Ayurvedic medicine to increase concentration. Some of the organic compounds contained in brahmi stimulate cognitive pathways in the brain by increasing cognitive abilities. It has the ability to reduce  the onset of cognitive disorders such as dementia and Alzheimer’s disease. Research has shown that it is a valuable ally for stimulating the creation of new neural pathways and the lowering of oxidative stress in the brain, protecting it from the decline of cognitive faculty during old age. The leaves of the brahmi plant can be chewed (only 2-3 at a time) to relieve stress and anxiety. The active ingredients in this herb can affect the hormonal balance in the body and have a positive impact on the  stress hormones in our body, so as to induce calm and a state of relaxation in a natural way, avoiding the side effects of traditional anti-stress and anti-anxiety medications. When the leaves of the plant are rubbed locally on the affected parts, the released compounds can reduce  the swelling and eliminate irritation, as well as inflammation within the body. It is excellent for people suffering from arthritis, gout and other inflammatory conditions. The antioxidants contained in brahmi are essential for promoting a healthy lifestyle. Eliminate free radicals , the dangerous by-products of cellular metabolism that can cause apoptosis cells (cell death) or mutation in cancer cells. These free radicals affect everything from our skin to our cardiovascular system, so a regular dose of brahmi in a daily or weekly diet can help maintain a high quality of life and a healthy metabolism. Antioxidants also prevent certain types of cancer; the research continues to study the components of Brahmi that prevent or slow down the spread of cancer. There is a particularly dangerous toxin, called acrylamide, on which Brahmi has specifically demonstrated resistance; acrylamide is linked to neurodegenerative diseases, so this can be added to the brahmi’s list of benefits! When brahmi is prepared in a tea or chewed as normal leaves, it may increase  the health of the respiratory tract. It is used in Ayurvedic treatments to treat the following disorders: congestion, cold and sinusitis. It can eliminate excess mucus and relieve the inflammation of the throat and respiratory tract by providing quick relief. If consumed in any form, tea, leaves or other, brahmi can provide the immune system with the necessary impulse. The nutrients are enriched by antioxidant compounds increasing the defenses  of our immune system against pathogens, viruses or bacterial infections. Brahmi leaves have been used as treatment  for epilepsy for thousands of years. It is thought to be due to the effect that Brahmi has on neural pathways. It helps prevent epileptic attacks, as well as other forms of mental illness, including bipolar disorder and neuralgia. If you wish to speed up the healing of wounds and disinfect the skin at the same time, distribute Brahmi juice or oil to the affected area. It reduces the appearance of scars and leaves a smooth and healthy skin enriched by its natural essential oils. In research studies , brahmi has been associated with an increase in blood sugar levels, so depending on the symptoms of diabetes, it may be able to help improve your hypoglycaemia and allow you to lead a normal life and healthy. Brahmi is a sedative and soothing herb , as well as anti-inflammatory and can help provide relief from gastrointestinal conditions such as ulcers, etc. The long-term consumption of any herbal supplement is usually discouraged and Brahmi is no exception. Regular use is recommended for up to 3-4 months. Or it can be used occasionally to alleviate a certain health condition. Brahmi is not allergic and is considered a safe herb. There are not enough studies on intake during pregnancy and lactation, so it is not recommended for use at these times. Brahmi extract concentrated in powder. A dosage between 50 mg and 500 mg per day is recommended. Brahmi in powder. A dosage of 1 gram is recommended 2-3 times a day in lukewarm water or in juices. Children. Better to avoid under 5 years. Between 5 and 12 years use a half dose compared to adults. From 12 to 18 years a dose 2/3 of that of adults (so 2 ​​grams a day of powder and 340 mg of extract). As a brain tonic, the effects of Brahmi can be increased if taken together with the Ashwagandha. With all these powerful health benefits, it’s no wonder Brahmi is one of the main herbs for the brain, the mind and the nervous system. Those who have tried it can already testify, after 3-4 weeks, the powerful mental rejuvenation that this herb offers! L’alitosi è un disturbo imbarazzante e fastidioso che può essere facilmente eliminato con le giuste contromisure: eccole. L’alitosi è un disturbo che consiste nell’emissione di odori sgradevoli dalla bocca respirando o parlando e può avere molte cause: dall’abitudine a consumare alimenti ricchi di composti solforosi, come aglio, cipolla e verze, ma anche curry, formaggi, zuccheri, fumo di sigaretta e disturbi gastrici fino a vere e proprie patologie. Ecco alcuni consigli e i rimedi naturali che aiutano a risolvere le più comuni cause di alitosi e a contrastare questo fastidioso disturbo. Tra le cause più frequenti della formazione di patina bianca sulla lingua ci sono l’abuso di alimenti saturi di grassi e zuccheri, che danneggiano la flora batterica e favoriscono la produzione di muco, che intasa il tubo gastroenterico lungo tutto il percorso, depositandosi anche sulla lingua. Altrettanto dannose sono le diete squilibrate o troppo restrittive, che impoveriscono la flora batterica degli elementi necessari per svolgere le sue funzioni. Per riequilibrare rapidamente la flora batterica e contrastare l’eccesso di muco è utile il macerato glicerico di fico: ricco di enzimi digestivi e di sostanze psicotrope, riequilibra la secrezione degli acidi e regola i centri nervosi neurovegetativi che governano il sistema gastroenterico. Posologia: Ficus Carica MG 1DH, 30 gocce in poca acqua due volte al giorno per un mese. Per mantenere la bocca sana è importante bere acqua a sufficienza, in modo da evitare che la bocca si asciughi troppo. La secchezza del cavo orale provoca infatti lo sfaldamento delle cellule superficiali, che si depositano sulla lingua come un manto bianco. In altri casi la secchezza delle fauci può essere prodotta dall’assunzione di farmaci, tra cui diuretici, farmaci psicotropi, antibiotici, antistaminici ecc. In questo caso il rimedio naturale consigliato è l’omeopatico NuxVomica 9 CH, nella dose di 3 granuli sublinguali subito dopo l’assunzione del farmaco. Al secondo posto tra le cause di alitosi figurano i problemi dentali, in particolare carie, parodontiti, ascessi gengivali ecc. In attesa dell’intervento odontoiatrico possiamo ricorrere all’olio essenziale di chiodi di garofano: versa in mezzo bicchiere d’acqua 4 gocce di olio essenziale di olio di garofano, e sciacqua ripetutamente la bocca con la miscela, trattenendola per qualche istante. Organo metabolico, il fegato è il centro di stoccaggio e conservazione delle riserve energetiche dell’organismo e un vero e proprio laboratorio chimico di elaborazione e trasformazione delle sostanze assorbite dall’intestino. I suoi compiti comprendono, tra l’altro, la distruzione delle scorie tossiche provenienti dall’esterno o prodotte dall’attività cellulare. Quando il fegato è intasato, nulla funziona bene, e il primo segnale dell’ingorgo epatico è l’alitosi. Per disintossicarlo è utile ricorrere alle tinture madri di tarassaco e carciofo, dall’azione epatoprotettiva, ipocolesterolizzante e coleretica. Posologia: due volte al giorno, prima di pranzo e cena, assumi 15 gocce di tintura madre di carciofo e 15 di tintura madre diluite in un bicchiere d’acqua, per 20 giorni consecutivi. Nelle alitosi da reflusso, dovute alla risalita dei succhi gastrici dallo stomaco all’esofago, a causa della cattiva “tenuta” del cardias, la “valvola” situata tra l’esofago e lo stomaco, è utile il tiglio per la sua azione antispasmodica e sedativa e la ricchezza in mucillagini antinfiammatorie. Oltre ad assorbire l’eccesso di acidi, la mucillagine esercita un’azione riparatrice sulla valvola gastroesofagea, mentre l’azione ansiolitica dei flavonoidi seda gli spasmi gastrici che provocano la risalita degli acidi. Posologia: Tilia Tomentosa MG 1DH 30 gocce prima di pranzo e cena per due mesi. Al tiglio si associa il rimedio omeopatico Iris Versicolor 9CH, rimedio principe delle gastriti acide e delle esofagiti da reflusso. Se ne assumono 5 granuli 2 volte al giorno. L’infiammazione delle mucose che rivestono i seni paranasali è sempre accompagnata da alitosi, dovuta alla stagnazione di muco e alla conseguente proliferazione di batteri. Per decongestionare le mucose paranasali e prevenire le sovrainfezioni batteriche possiamo ricorrere ricorrere all’olio essenziale di eucaliptus, dotato di una potente azione antisettica, antiputrida e antinfiammatoria. Per goderne i benefici, versare in mezzo litro d’acqua calda 10 gocce di olio essenziale di eucalipto, coprire la testa con un asciugamano e inalare i vapori a fondo. Halitosis is an embarrassing and annoying disorder that can be easily eliminated with the right countermeasures: here they are. Halitosis is a disorder that consists of the emission of unpleasant odors from the mouth breathing or talking and can have many causes: from the habit to consume foods rich in sulfur compounds, such as garlic, onion and cabbage, but also curry, cheese, sugar , cigarette smoke and gastric disorders up to real diseases. Here are some tips and natural remedies that help to solve the most common causes of halitosis and to counteract this annoying disorder. Among the most frequent causes of the formation of white patina on the tongue there are the abuse of foods saturated with fats and sugars, which damage the bacterial flora and favor the production of mucus, which clogs the gastrointestinal tube along the path, depositing also on the tongue. Equally damaging are the unbalanced or overly restrictive diets, which deplete the bacterial flora of the elements necessary to perform its functions. To quickly rebalance the bacterial flora and counteract the excess of mucus is useful glyceric macerate of fig: rich in digestive enzymes and psychotropic substances, rebalances the secretion of acids and regulates the neurovegetative nerve centers that govern the gastrointestinal system. Dosage: Ficus Charge MG 1DH, 30 drops in a little water twice a day for a month. To keep your mouth healthy it is important to drink enough water to prevent your mouth from drying out too much. The dryness of the oral cavity causes in fact the exfoliation of the superficial cells, which are deposited on the tongue like a white mantle. In other cases, dry mouth can be produced by taking drugs, including diuretics, psychotropic drugs, antibiotics, antihistamines, etc. In this case the recommended natural remedy is the homeopathic NuxVomica 9 CH, in the dose of 3 sublingual granules immediately after taking the drug. In second place among the causes of halitosis are dental problems, in particular caries, periodontitis, gingival abscesses, etc. While waiting for the dental intervention we can resort to the essential oil of cloves: pour in a glass of water 4 drops of clove oil, and repeatedly rinse the mouth with the mixture, holding it for a few moments. A metabolic organ, the liver is the center of storage and conservation of the body’s energy reserves and a real chemical laboratory for processing and processing the substances absorbed by the intestine. His duties include, among other things, the destruction of toxic waste from the outside or produced by cellular activity. When the liver is clogged, nothing works well, and the first sign of the hepatic jamming is halitosis. To detoxify it, it is useful to use mother tinctures of dandelion and artichoke, with a hepatoprotective action, hypocholesterolizing and choleretic. Dosage: twice a day, before lunch and dinner, take 15 drops of artichoke mother tincture and 15 of mother tincture diluted in a glass of water, for 20 consecutive days. In reflux halitosis, due to the rising of gastric juices from the stomach to the esophagus, due to the bad “seal” of the cardias, the “valve” located between the esophagus and the stomach, the linden is useful for its antispasmodic action and sedative and wealth in anti-inflammatory mucilage In addition to absorbing excess acid, the mucilage exerts a repairing action on the gastroesophageal valve, while the ansiolytic action of the flavonoids sires the gastric spasms that cause the ascent of the acids Posology: Tilia Tomentosa MG 1DH 30 drops before lunch and dinner for two months.The linden is associated with the homeopathic remedy Iris Versicolor 9CH, the main remedy of acidic gastritis and reflux esophagitis, if they take 5 granules twice a day. The inflammation of the mucosa covering the paranasal sinuses is always accompanied by halitosis, due to the stagnation of mucus and the consequent proliferation of bacteria. To decongestate the paranasal mucosa and prevent bacterial superinfections we can resort to the essential oil of eucalyptus, which has a powerful antiseptic, anti-depressant and anti-inflammatory action. To enjoy the benefits, pour in half a liter of hot water 10 drops of essential oil of eucalyptus, cover the head with a towel and inhale the vapors thoroughly.